Get ready to stand your ground. Attack on Titan 2: Final Battle will bring with it a new game mode called Territory Recovery. In this mode, there will be two rounds in a match, with different phases requiring you to take different actions to prepare to stand your ground and survive. In the Base phase, you are free to roam wherever you please, allowing you to decide the best course of action to plan for the attack ahead. You can use materials to upgrade equipment and socialize with friends to get everyone on the same page. The Outer Campaign phase is where the actual attack will begin and will have Scouts push outside of the walls in an attempt to reclaim territory for humanity. Attack on Titan 2: Final Battle will also give players a chance to create their own corps. Players will be able to customize their corps’ name and emblem, allowing for more personalization than ever before. 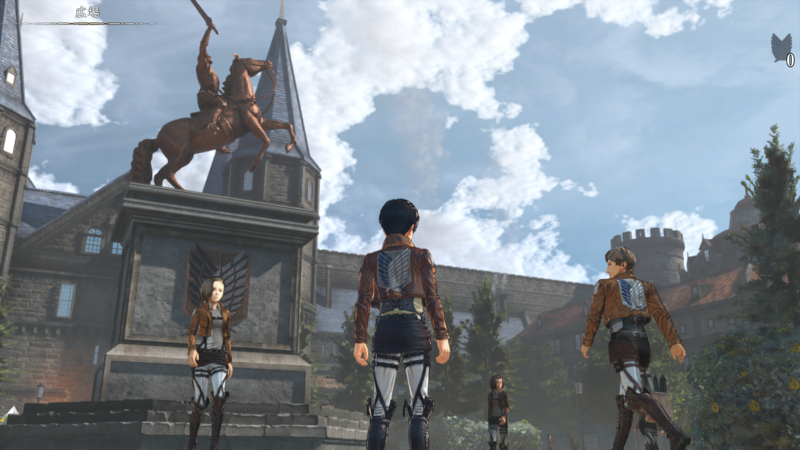 Players can also assign a Commander to their corps, which can consist of any of the game’s playable characters, including custom Scouts from Attack on Titan 2. If you created a custom Scout in Attack on Titan 2, but were concerned that you would not be able to carry your Scout over into the Final Battle add-on, worry no longer! Attack on Titan 2: Final Battle is set to release for the PlayStation 4, Nintendo Switch, Xbox One, and PC later on July 5, 2019. Will you be picking up this add-on for Attack on Titan 2? Let us know in the comments below!